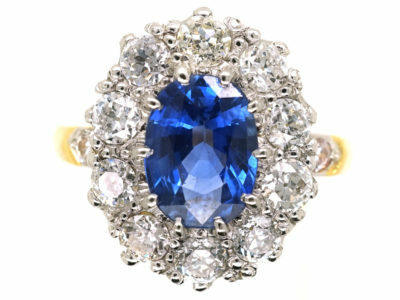 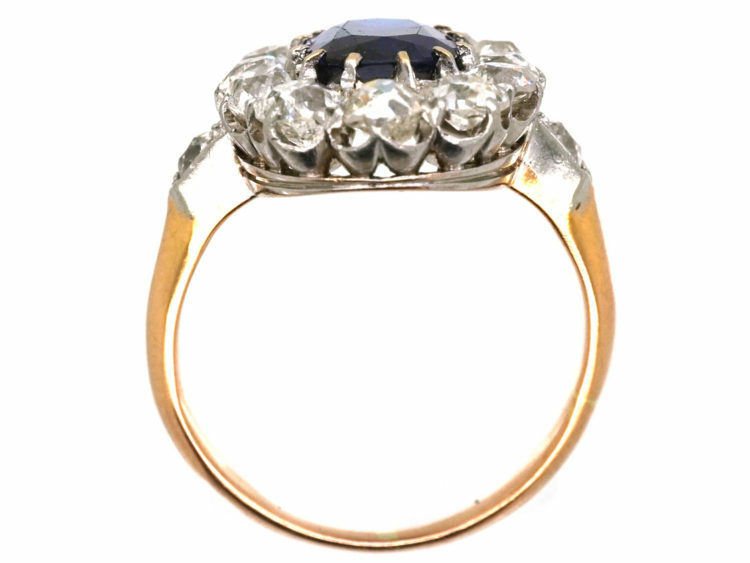 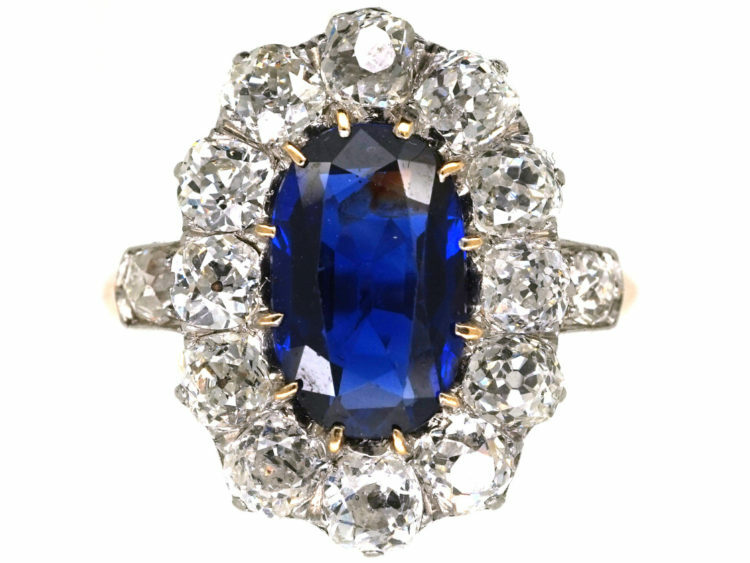 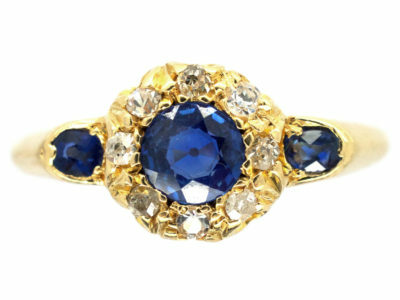 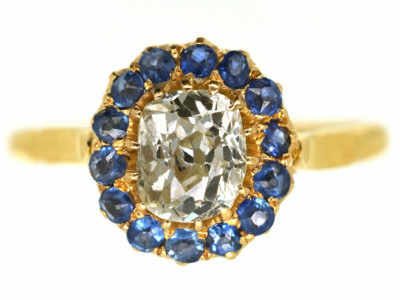 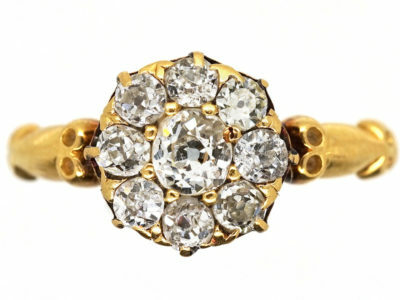 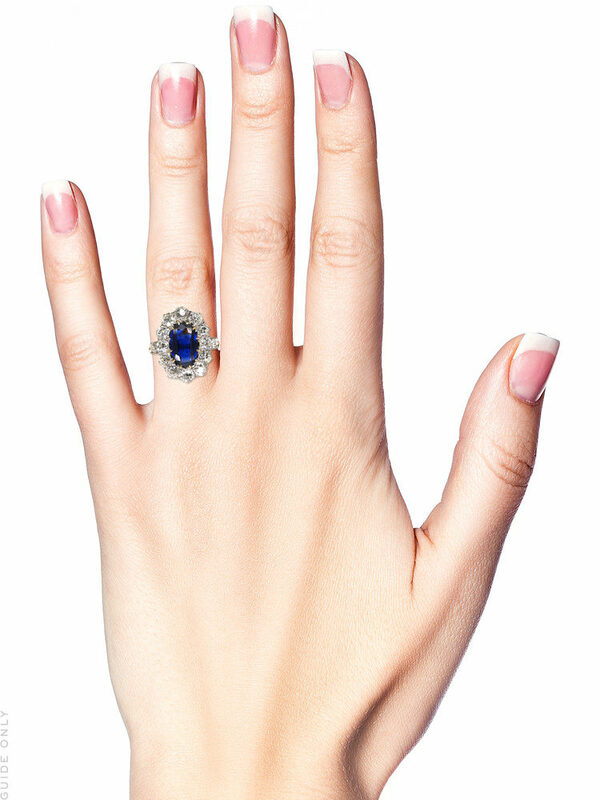 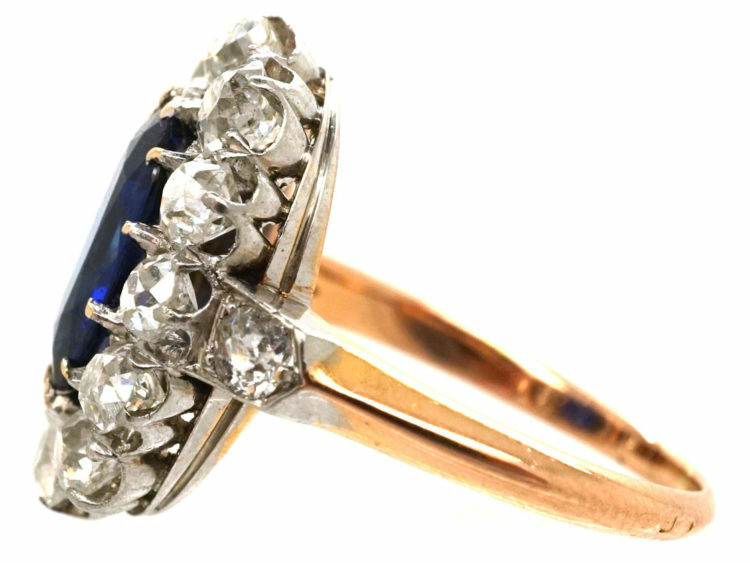 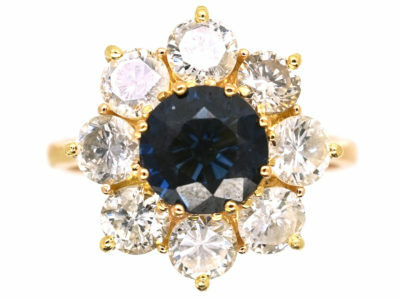 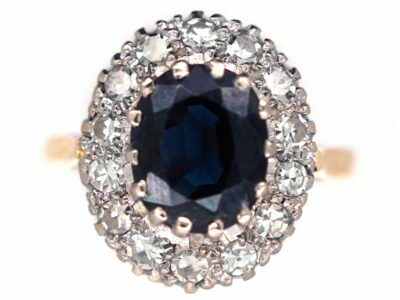 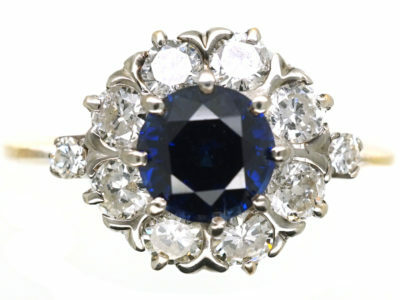 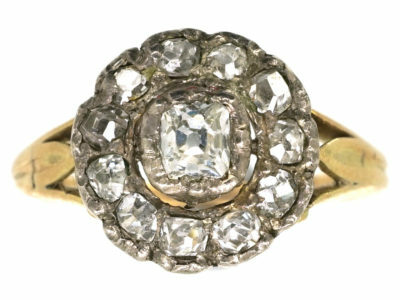 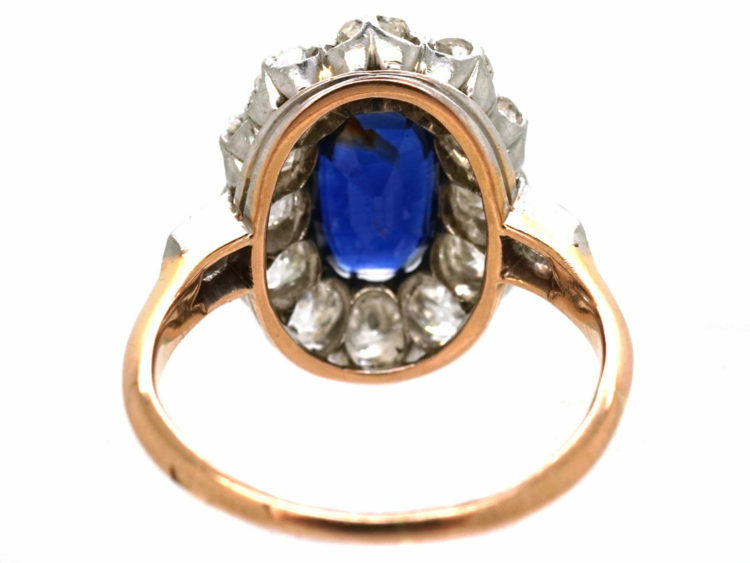 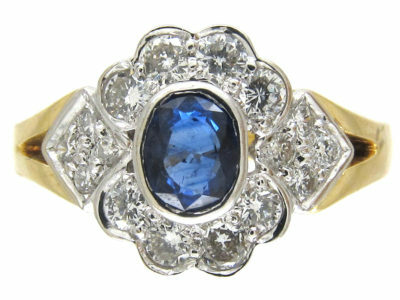 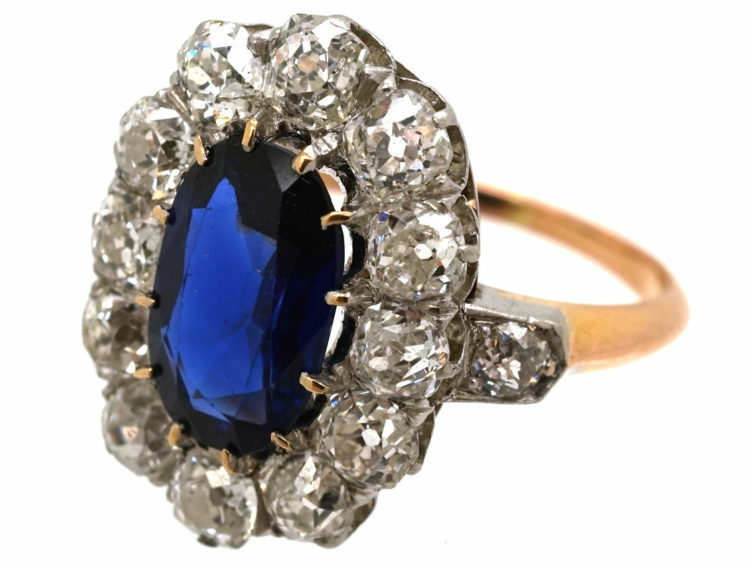 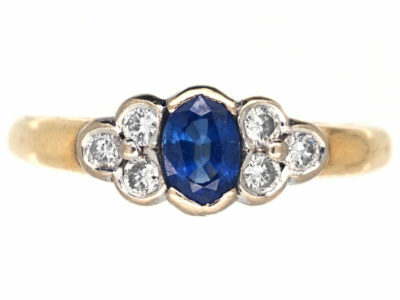 This is a fantastic 18ct gold oval sapphire and diamond cluster ring that was made in France in the early 1920s. 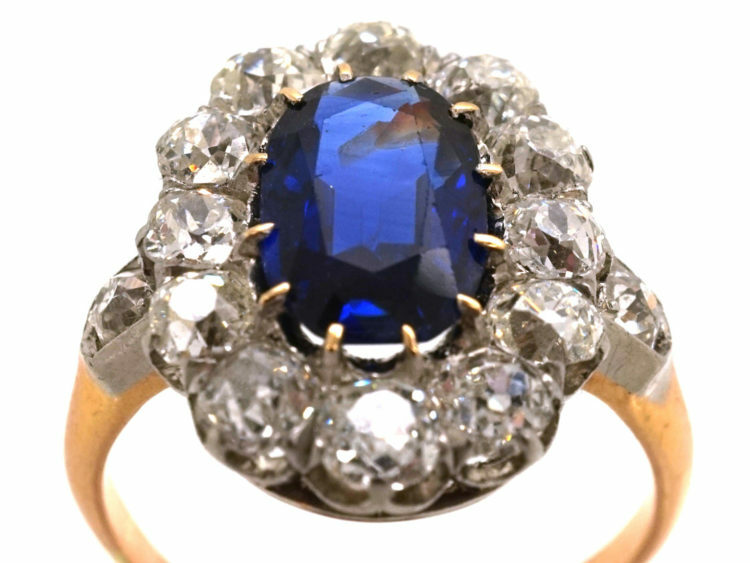 The natural sapphire is a gorgeous velvet blue colour. 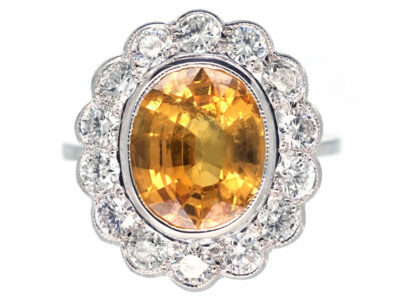 It is surrounded by twelve well matched white diamonds with a diamond set in to each shoulder. 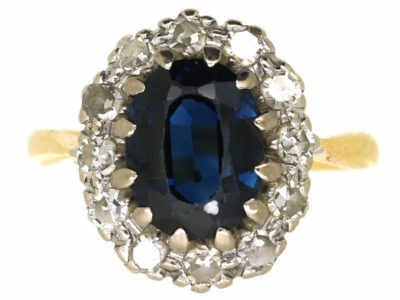 It sits low on the finger so it would make a stunning engagement ring. 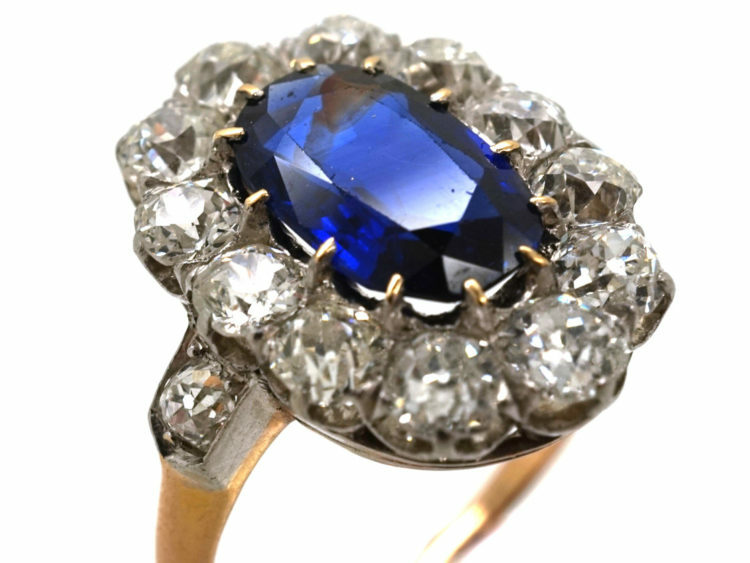 It is accompanied with a gemmological certificate that confirms the sapphire has had no heat treatment.